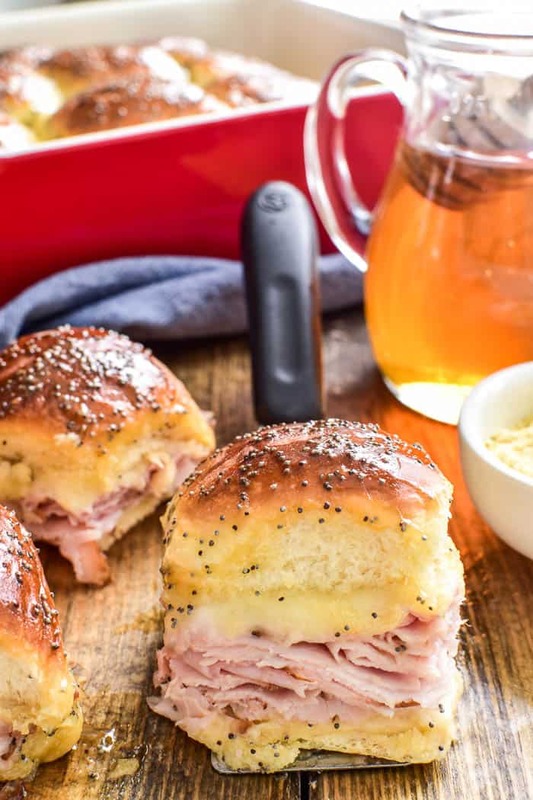 These Honey Mustard Ham and Cheese Sliders make the best party food! Layers of shaved ham and Swiss cheese baked into a rich honey mustard glaze, these sandwiches are the perfect blend of savory, sweet, and SO delicious. Make them ahead so they’re party-ready….then pop them in the oven when you’re ready to go. Guaranteed to become a new favorite! I think it’s fair to say I have a slight obsession with honey mustard. 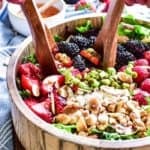 It’s forever been one of my favorite salad dressings and I LOVE it in these Honey Mustard Cocktail Meatballs. There’s just something about the blend of savory and sweet that gets me every time. You with me? I think it’s also fair to say I have a thing for sliders. I mean….who doesn’t, really? Mini sandwiches baked into a yummy sauce? Sign. Me. Up. Whether it’s these Baked Turkey & Cheese Sandwiches or Baked Reubens or smothered Chili Cheese Turkey Sliders, it’s hard not to love them. And these Honey Mustard Ham and Cheese Sliders are no exception. Between the ham and the Swiss cheese and the honey mustard sauce…these sandwiches are everything. And easy. And SO addictive!! HOW DO YOU MAKE HONEY MUSTARD HAM & CHEESE SLIDERS? 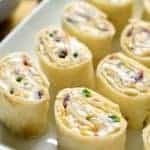 Cut sandwich rolls in half lengthwise. Layer with ham and cheese. Prepare sauce by combining butter, honey, ground mustard, and poppy seeds; bring to a boil. Pour over sandwiches; cover and refrigerate overnight. WHAT KIND OF SANDWICH ROLLS ARE BEST TO USE? Any kind of small sandwich roll will work, including silver dollar rolls from the bakery, mini slider buns, or King’s Hawaiian rolls. 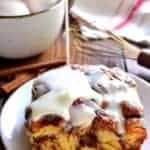 For this recipe I used King’s Hawaiian Savory Butter Rolls, which were a nice contrast to the sweet sauce. WHAT KIND OF HAM DO YOU USE IN SLIDERS? I would suggest using any type of baked ham that’s shaved instead of sliced. 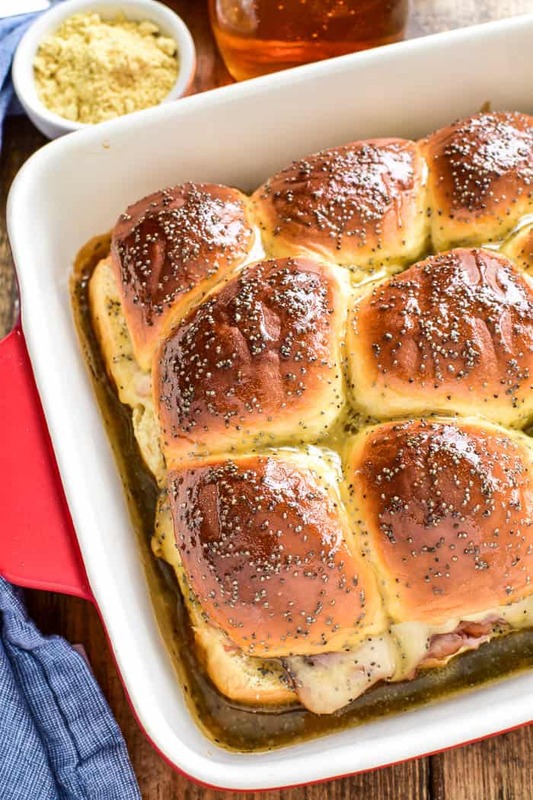 Shaved ham is more delicate and you can fit more of it into these little rolls! I would also suggest avoiding honey ham due to the sweetness of the sauce. DO YOU HAVE TO REFRIGERATE SLIDERS OVERNIGHT? Refrigerating sliders overnight will yield the best results, as it gives the sauce time to soak into the sandwich rolls. That being said, I have made this recipe without refrigerating them first and they still turn out delicious. WHAT KIND OF CHEESE IS BEST IN HAM & CHEESE SLIDERS? I love the classic combination of ham & Swiss, but you can feel free to substitute any type of cheese you have on hand. Some other suggestions are provolone, monterey jack, or even cheddar. 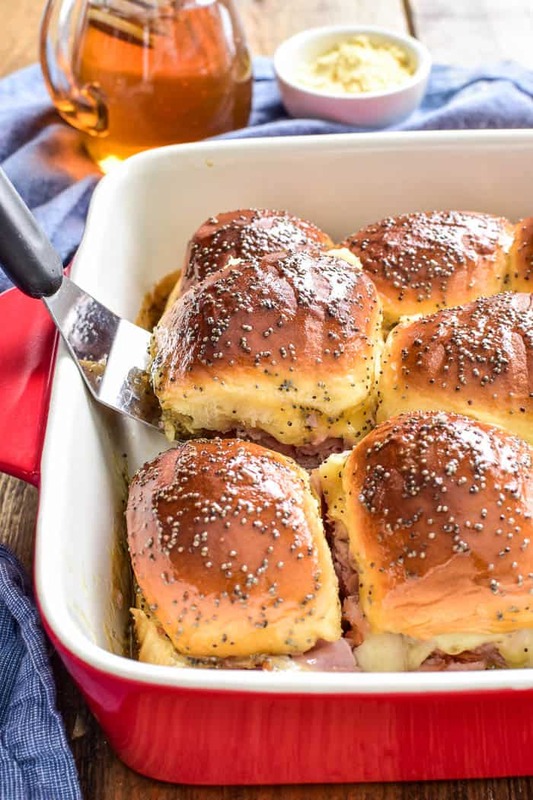 Whether you’re a huge slider fan or just trying them for the first time, once you taste these Honey Mustard Ham & Cheese Sliders you’ll be hooked! They’re everything a ham and cheese sandwich should be, with the delicious addition of honey mustard. And best of all, they couldn’t be easier to make. Perfect for lunch, dinner, game days, or parties….these sliders are always a crowd favorite and sure to become your new favorite, too! 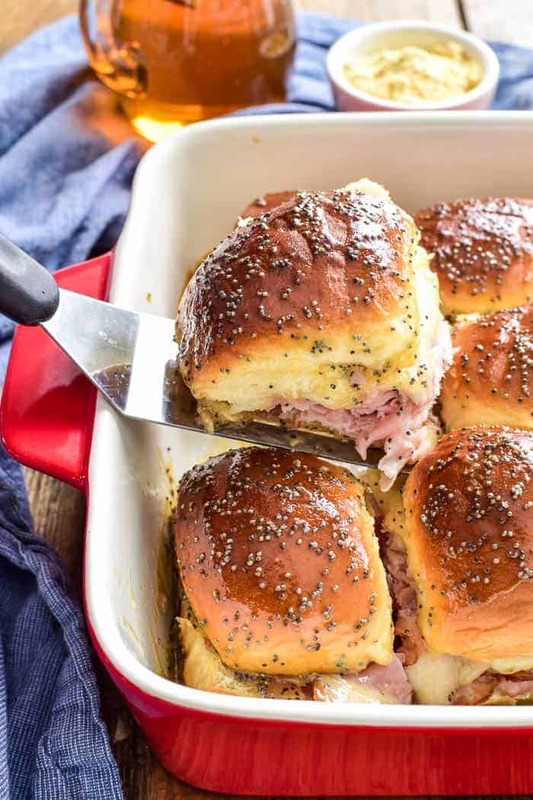 These Honey Mustard Ham and Cheese Sliders make the best party food! 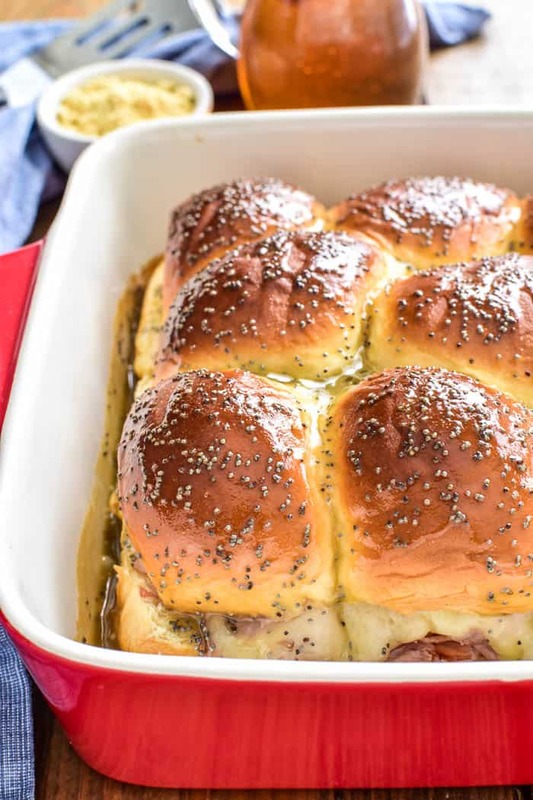 Layers of shaved ham and Swiss cheese baked into a rich honey mustard glaze, these sandwiches are the perfect blend of savory, sweet, and SO delicious. 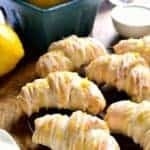 Slice rolls in half lengthwise. 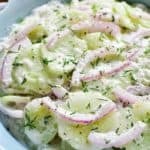 Fill with ham and cheese; set aside. In a medium saucepan, combine butter, honey, ground mustard, and poppy seeds. Bring to a boil; pour evenly over sandwiches. 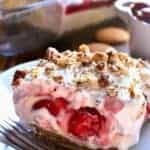 Cover with foil and refrigerate 6-8 hours or overnight. Remove foil; bake at 350° for 20 minutes. 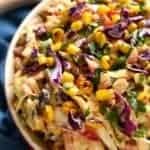 I bet the honey mustard with the ham really knocks this recipe out of the park! 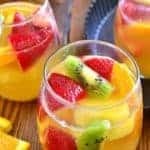 These would be great for an after school snack! I love sliders! They’re perfect as an appetizer or to have for dinner! This were super easy and tasty! 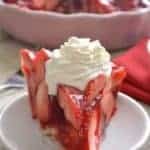 I made them for a meeting and were a hit with all the coworkers. I will make them again. These look like a tasty lunch, I’ve got poorly boys at home today, reckon these will cheer them up!! I am drooling over these sliders. They are so tasty! This will be a sure hit at my house! Such a great sandwich, and party-perfect! 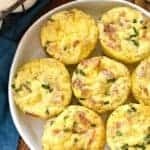 I have to say, I would love these for dinner – no party needed!